Course Website: Official Website - Visit Atunyote Golf Club at Turning Stone's official website by clicking on the link provided. 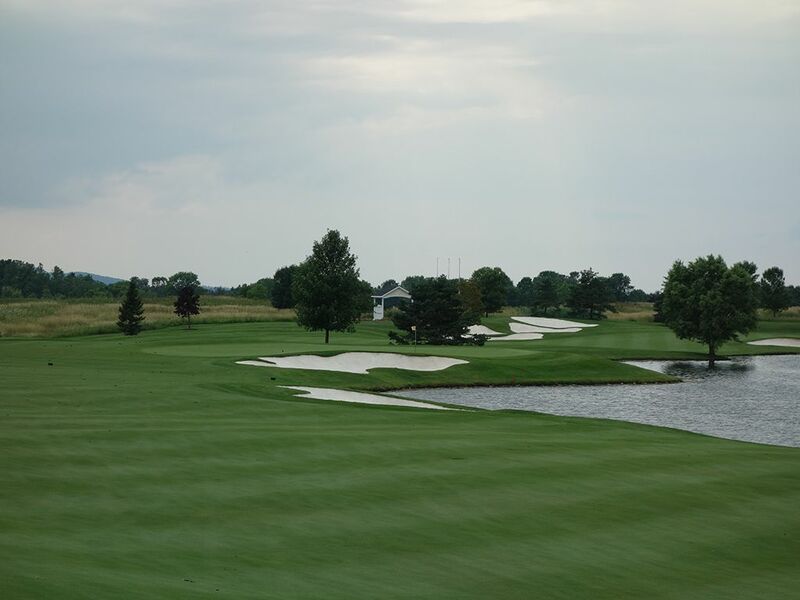 Accolades: Ranked 17th in New York on Golf Course Gurus' Best in State rankings. 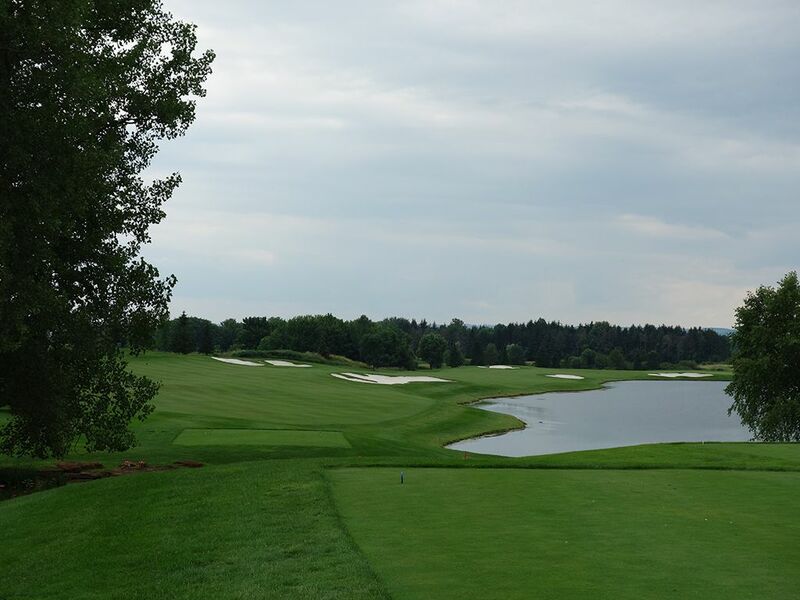 What to Expect: Atunyote (pronounced "uh-DUNE-yo") is the most heralded layout at Turning Stone though it is located about five miles off site from the resort. 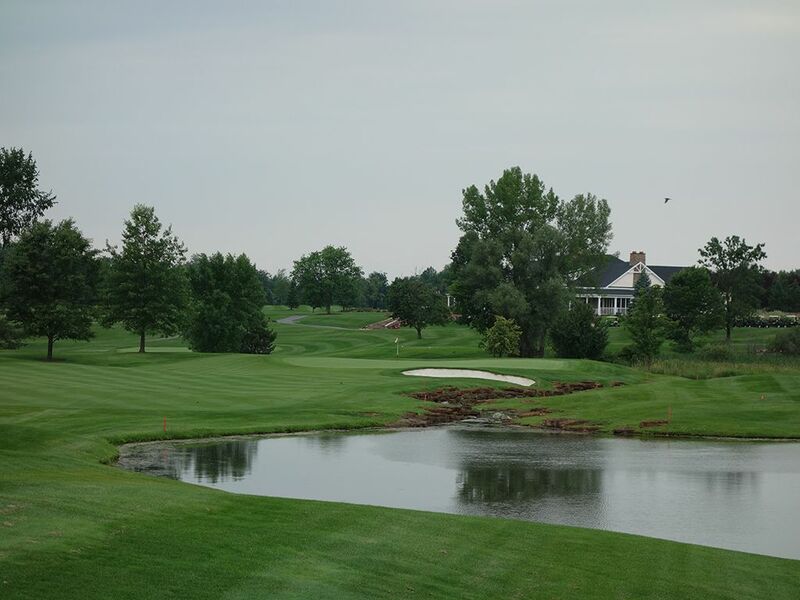 The former PGA tour stop (2007-2010) produced notable winners Matt Kuchar and long baller Dustin Johnson and was also the host of the PGA Professionals Championship in 2006 and 2016. The course is characterized with generous fairways, white sand bunkers, and pristine conditioning. Much more forgiving than the Kaluhyat course, the parkland layout at Atunyote will allow you to occasionally spray a shot and still have a chance to salvage a par although there are still plenty of bunkers and the occasional water hazard that will cost you for being sporadic. 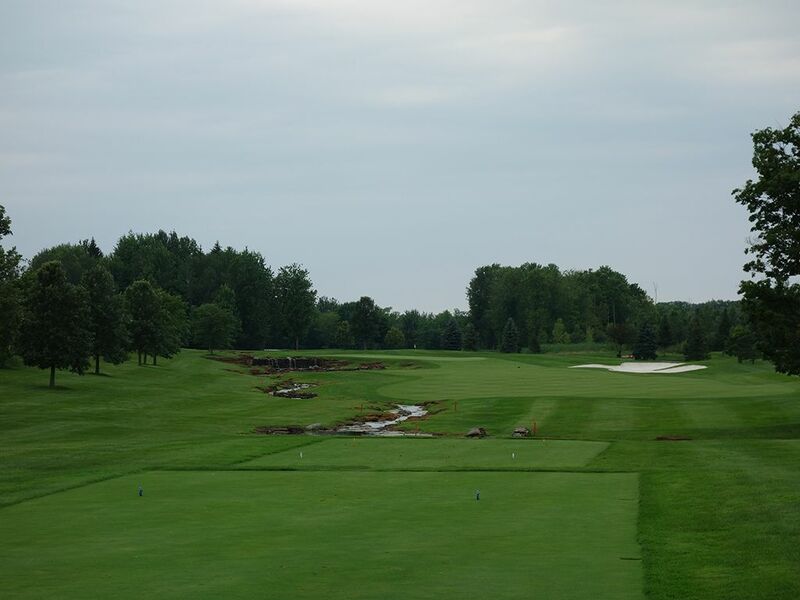 The course is relatively flat and thus an easy walk for players that would elect to do that while some waterfalls and wide variety of trees adds to the visuals. The most expensive of the Turning Stone courses, a visit to Atunyote feels more like a trip to a private club with a grand entrance, complimentary access to lockers and the practice facility, and great service. Signature Hole: 11th Hole – 230 Yard Par 3 – Fazio delivers a stern test on the 11th with this lengthy par three over water. Leaking a ball to the right is death with a bunker catching balls coming up short and a stream drowning balls beyond the sand. The ideal play is a fade that starts at the left edge of the green and works its way over the inviting entrance to the putting surface. With water coming into play over the next few holes, do everything you can to keep your ball dry. Best Par 3: 16th Hole – 177 Yards – The final par three at Atunyote plays to a well protected pear shaped green where attacking the pin in the front third will require deadly accurate work while the back third is less protected and features a much larger target. 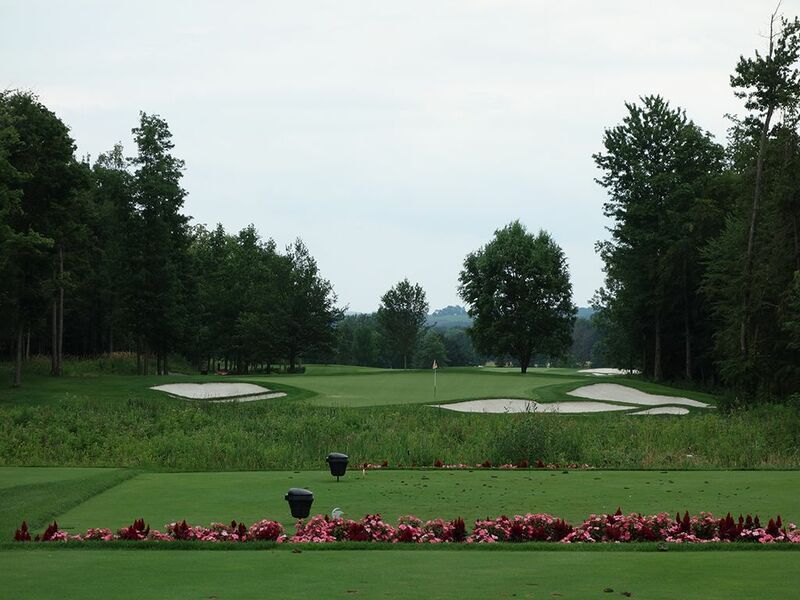 Fazio loves to doll up his closing holes so you'll find more sand around the green coupled with some flowers around the tees to bring some additional aesthetics here. Best Par 4: 15th Hole – 442 Yards – One of my favorite holes simply because it rewards the player that can successfully shape their tee shot. This dogleg right features a bunker on the outside of the turn and is the perfect target for a player that can fade the ball off the tee. After successfully putting your drive into play, you are faced with an approach shot to a green that is shaped like the fairway and bends to the right away from the player. Two bunkers front the putting surface and call for an aerial shot to carry the sand and stick the green. 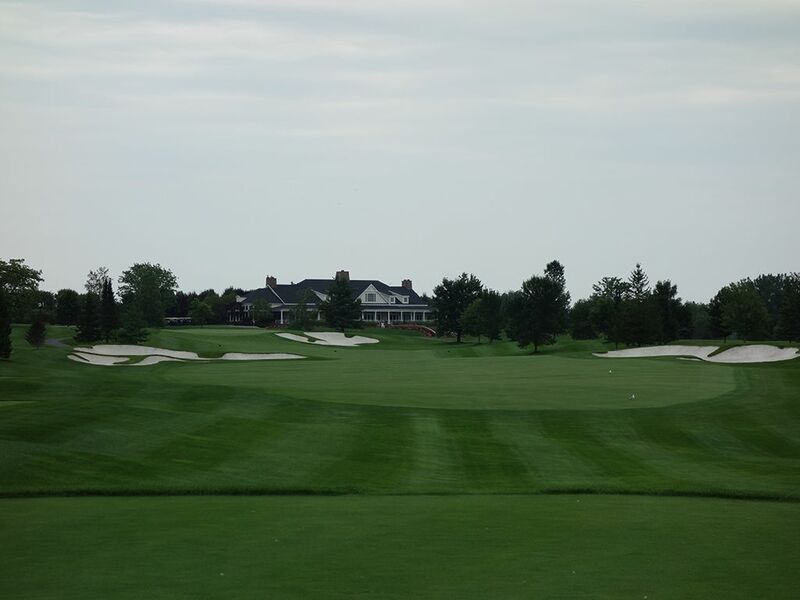 Fazio designed Atunyote for championship caliber play with the bunker and hazard placements as well as the green contours, and the 15th is a good example that rewards strong play. 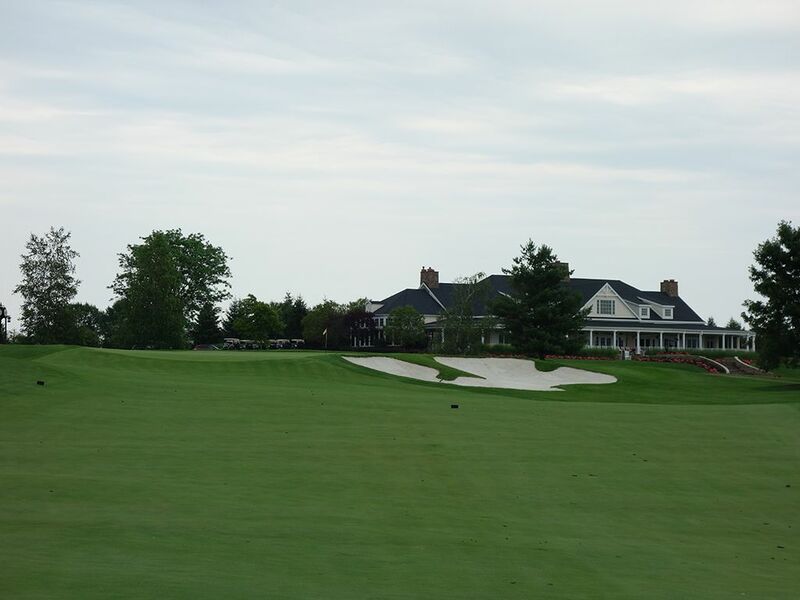 Best Par 5: 12th Hole – 538 Yards – The best hole on the property is this reachable par five. A creek carves between the tee boxes before the fairway sets out on a journey towards the green with a pond flanking the right side for the entire length of the hole. A big tee shot can bring one of the three fairway bunkers into play while staying short of them will reduce your chances of getting home in two. The kidney shaped green represents the furthest right portion of the hole as the putting surface leans out in the water in a peninsula like fashion. This design requires plays to ask themselves a Clint Eastwood question, "Do you feel lucky?" 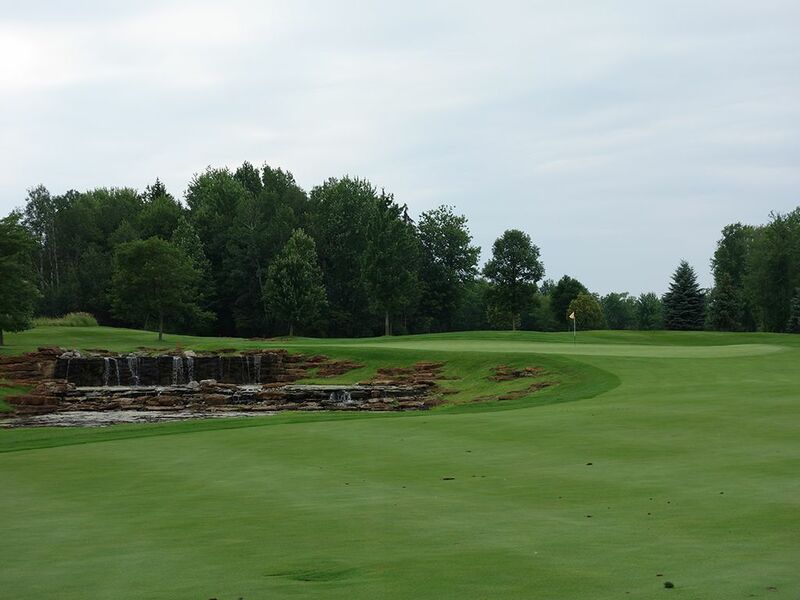 Birdie Time: 14th Hole – 385 Yard Par 4 – The only par four under 400 yards at Atunyote is the dolled up 14th that features a creek running down the left side and terminates into a waterfall and pond next to the green. While the waterfall looks completely artificial, it is nice to have some additional character considering the flat terrain that prevails at the course. Drives under 300 yards from the back tee will stay short of the lone fairway bunker on the right and leave a wedge shot into the green. This is a great chance to take dead aim at the flag and try to hit one tight. Bogey Beware: 9th Hole – 469 Yard Par 4 – The closing hole of the front nine is a bear. With bunkers on both side of the driving zone, you'll have to thread your tee shot while still managing to put enough zip on it to leave a reasonable approach distance. Most players will be hitting a mid to long iron on their second shot and will have to contend with hitting it high enough to reach the raised green while managing to miss the deep bunker lurking right of the putting surface. Bailing out to the left leaves a chip from the rough back towards the bunker. Properly judging the spin can be a challenge so getting aggressive may result in more pain than relief. Taking par here deserves a nice treat at the turn while carding a bogey will put you in company with most golfers for the day.